Christopher Lloyd does not just give talks in to public audiences, he is also a popular speaker at educational conferences, INSET workshops / seminars, think-tanks and in a variety of corporations as a motivational speaker and thought-leader. Christopher’s talks focus on evolutionary biology and the development of the human brain over millions of years in a bid to understand what it is that sparks a natural joy of learning. His contention is that the primary objective of any modern education system should be to promote a lifelong love of learning since this is more likely to create a workforce that is adaptable to change and is willing to re-train as technology and economic trends shift. More traditional methods of ‘educating to the test’ too often result in the opposite: a fear of failure and a workforce that is resistance to re-engage with education later in life. Christopher Lloyd argues most of the jobs young people will eventually occupy have not yet been invented. Therefore changing the primary objective in education systems from testing to lifelong learning is vital on three levels: personal fulfilment, social cohesion and economical welfare. In the future economy, adaptability will be king, not a workforce trained in specific skills for jobs that are likely to become outdated. Key to this shift is to understand what makes learning joyful. What processes trigger a natural release of dopamine that creates self-motivation and a love of learning? Christopher has a series of FIVE narratives – he calls them THE FIVE WOWS! since the verbal expression WOW! is a universal signal that a shot of joy in the brain has been released. These FIVE WOWS delve deep into the evolutionary psychology of the brain, each one responsible for unlocking a love of learning. His talk shows how each of these narratives can not only be used to help transform learning in the classroom but are also the key to creating a vibrant self-learning culture for business corporations. Delegates are taken on a whistlestop journey through 13.7 billion years covering every subject in the curriculum using a series of everyday objects. The talk demonstrates how the ‘ordinary’ world around us can be used to tell the most ‘extraordinary’ story of planet, life and people in a way that will engage even the most reluctant learner using no more than the power of natural curiosity. 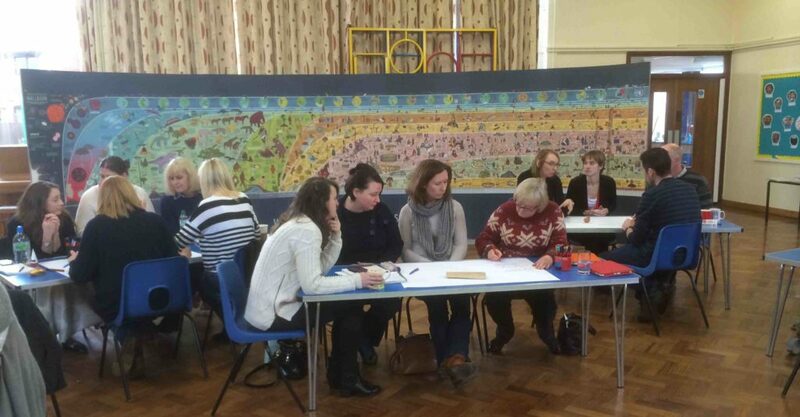 INSET workshops can be designed around a school’s individual timescales and requirements. Corporate talks can be as short as 30 minutes or as long as a day. Details on request. Suitable for business executives, teachers, librarians and learning support assistants at all Key Stages.